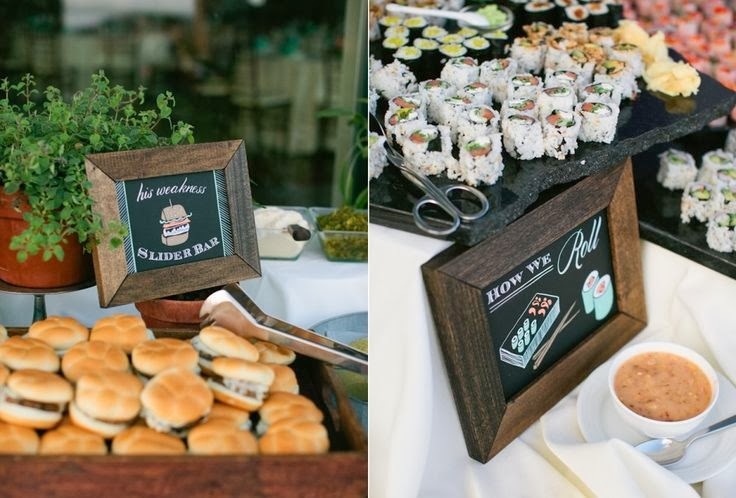 Cocktail hour is a wonderful way for your guests to get a taste of many different delectable foods, but the last thing they want to do is wait in line for a long time and miss out on other stations! To avoid this, we always recommend doubling up on your food stations. The threshold for each food station is about 200 people - meaning that 200 people can go through each station during a typical cocktail hour. If you have more than 200 guests, you should definitely double up on your stations. For instance, if you would like to feature 8 unique food stations, you should actually have 16 stations set up (2 of each). You’ll also want to make sure that your guests receive speedy drink service at the bar. Having one bartender for every 75 guests is ideal, but you can push this number up to 100 guests if need be. With these 2 tricks, you will ensure that your guests get all of the food and drinks they want at cocktail hour without worry!